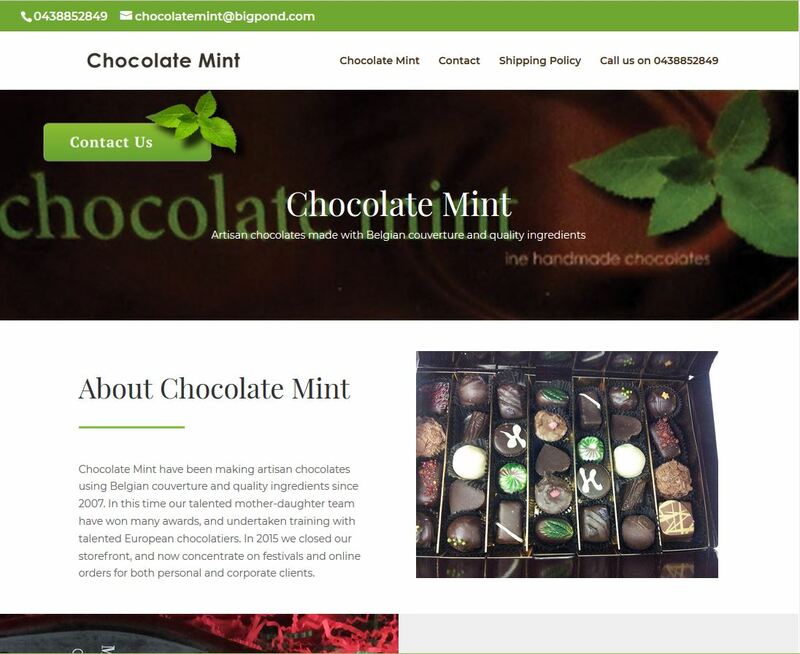 Chocolate Mint in Sydney offers an amazing range of Artisan chocolates made with Belgian couverture and quality ingredients to order. This landing page is created in WordPress so it can grow when needed and is a great start so the business has an online presence to start with. This website was developed and created together with Adelaide Advertising.